Low cost airline Norwegian, which offers passengers free on-board WiFi, has revealed the favourite websites and mile-high surfing habits of UK passengers. News websites, property portals and online auction sites all feature in the surprising list of UK passengers’ top ten most visited websites in the sky. 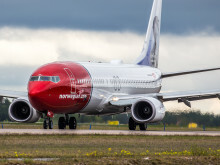 Norwegian now flies to 34 short and long haul destinations from Gatwick, Manchester, Birmingham and Edinburgh Airports and is having its busiest ever summer in the UK with over one million passengers between July and September. 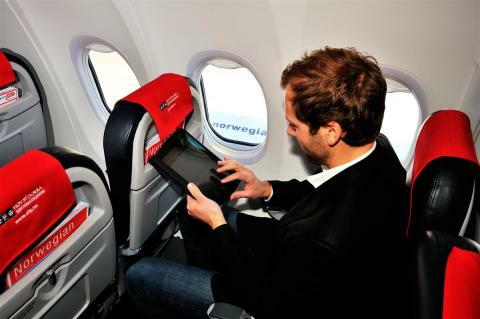 Norwegian was recently voted the Best Low Cost Airline in Europe and offers passengers free WiFi on all European flights - in July alone, more than 650,000 passengers used free on-board WiFi. The news websites of the BBC, Guardian and Daily Mail make up three of the top four places showing that whether they’re escaping the UK for a break, heading home from holiday or on their way to a business meeting, UK passengers are keen to keep up with the latest news back in Britain. The Rightmove property site appears at number 5 on the list showing that the nation’s obsession with looking at property even extends to their holiday time. Perhaps a relaxing break has convinced home owners to flee their city pad for a more peaceful life in the country? Maybe a friends holiday gone-wrong has left a group of renters looking for a new flatmate? Or has a holiday romance left passengers looking for a cosy new place with their new love?! Whatever the reason, property hunting is clearly on UK passengers’ minds mid-flight. Online auction site eBay appears at number 10 on the list suggesting that, despite heading off for a well-earned break, UK passengers can’t face being outbid on a bargain while they are in the sky! Online shopping site Amazon also features in the top ten showing that UK passengers never need an excuse to shop – even if they are 38,000 feet above ground! Norwegian Chief Commercial Officer Thomas Ramdahl said: “As the first European airline to offer free on-board WiFi, we have a fascinating insight into UK passengers’ surfing habits at 38,000 feet. 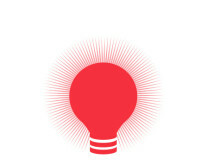 “From checking the latest news and house hunting, to online shopping and auction sites, Norwegian’s UK passengers are clearly making the most of our free on-board internet to stay connected to their favourite sites.